Brother Graham, greetings in the name of the Lord, welcome to Barbados, we trust this will be a blessed holiday for you and next time do bring the entire family! 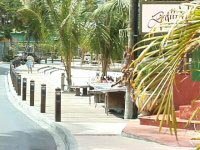 This web page is designed as a reminder of your stay in Barbados, may it be the first of many wonderful trips to our island. 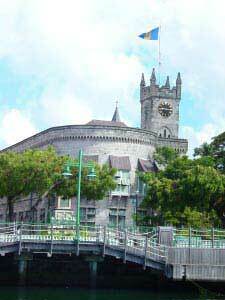 Bright and early on Wednesday morning Brother Graham and Sister Betty visited Bridgetown the capital and commercial centre of Barbados. The shops are elegant, well-appointed and air-conditined. 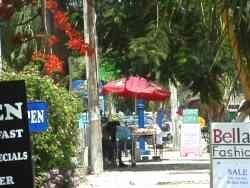 Sales staff are friendly with an added Bajan charm. 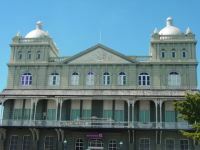 Bridgetown is steeped in history and boasts some interesting sightseeing venues. 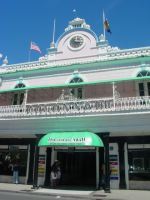 It is one of the most thriving and colourful capitals in the Caribbean. 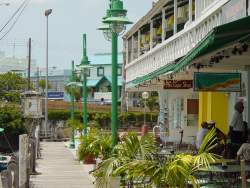 The Waterfront was a good place for lunch it is a popular meeting place and an exciting after office social scene. Tuesday night was spent visiting friends and family, rich in fellowship and friendship. An early night was had by all as we prepared for the Island Tour. 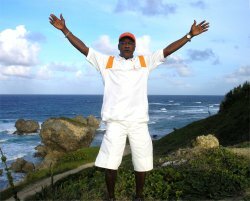 Cassada Bay offer both individuals and groups the possibility of coming to Carriacou and staying in a 'working holiday village' FREE OF COST in exchange for 'work in the village', bringing Hands of Help into the community, the nursing homes, the church building project. 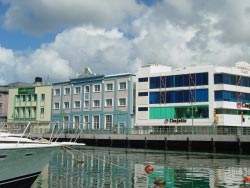 United Caribbean Trust base headquarters could be used as ‘Christian Timeshare Holiday Resorts’ outside of the hurricane season (thus fund the trust) and accommodation for relief workers during the hurricane season if needed. 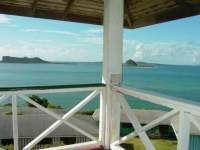 If not needed they could be opened to local schools, youth groups and Caribbean churches from July to October. Pastor Happy from Africa leading the way in evangelism and youth outreach with the island of Carriacou. Click to view the church building project. "The Baby Survival Kit" a Caribbean based non-profit organization utilising United Caribbean Trust as its Caribbean arm of distribution for hurricane victims in Grenada & Carriacou.